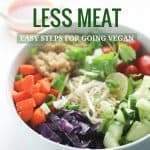 This vegan for beginners guide gives you tips on how to successfully ease into your new vegan lifestyle. A new journey can be scary. You don’t have to embark on it alone. When embarking on a new journey, we look for step by step instructions. Why? Because it can be scary traveling a road you never traveled before. 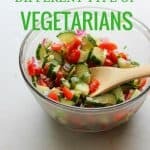 This vegan for beginners guide is more than a how to eat less meat tip articles. I give you suggestions mentally and emotionally on how to adjust to your new lifestyle. Changing something as intimate as your diet is difficult. Food is more than things we consume for nourishment of our physical bodies. It’s tied to childhood memories and our culture. It is how we bond, communicate, and connect with the world around us. So to change our diet is equivalent to changing our identity. 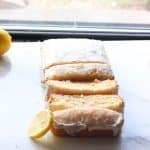 This vegan for beginners guide assumes that if you are here, you have a desire to travel this route. For whatever reason, you have decided to transition into a plant based vegan lifestyle. So how does one get started? 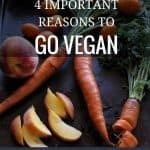 Well it is first important to have a solid reasons to go vegan. But other than that there is no one step by step formula or correct way to do this. However there are some general guidelines that will help you as you navigate toward your new lifestyle. Know what you are getting yourself into. Most folks see the outer result of something and think that is what they desire. But they lack the clarity of what it really takes to achieve it. So read and watch everything you can on the vegan lifestyle. Veganism is more than a diet. It is a stance against the oppression and exploitation of animal life (including humans being that humans are also animals). Throw yourself into it as if you were a researcher. Knowing what you want and then studying the knowledge behind it, will make your path clearer so that you can avoid any detours along the way. Below I laid out some resources that you can check out. <–My FAVORITE documentary! A very down to Earth approach and I think it is wonderful how it showcase the hip hop community and youth striving for health and healing! You are a traveler, you are on the road to becoming something different. So you have to be willing to consume something different. When you desire to learn a different language, you learn different sounds so that you can properly speak and understand it. The same idea applies with food. 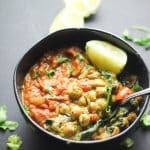 There are resources (this site included) to help you get creative with your plant based dishes. Don’t be afraid to try new things! Make veggies, beans, and grains the stars of your dish. This is a time to let your inner child loose and be creative with new tastes. Try new cuisines( Persian, Ethiopian, Asian dishes can all easily be made plant based friendly). You will see just how much variety you actually can have eating a plant based diet, probably more so than when you consumed meat. When I take a road trip I am excited! I am excited about the new sites I will see, the new people I will meet, and the new fresh air I will breath. The last thing on my mind is what I will miss back home because I already experience that. The same is true for your vegan journey. This is an adventure. Don’t put all your energy into what you will be missing. Instead focus on what is in front of you like..
How good you feel eating lighter. The new vegan friends you will make. The increase in energy you feel. Make it fun! Focus on what you can do and can eat, not what you cannot. A journey is a day’s travel. Everyday you must make this a choice; one step at a time. You do yourself a disservice rushing the process. If you rush you miss the sights, scenery, and signs along the way that may be telling you to yield or to turn left or to even stop. It is important to slow down, fully engage, and absorb all you are doing. You do not have to speed race through your journey. You are not in competition with anyone to become “the best vegan of all time.” You shouldn’t compare yourself to someone else’s walk. You have a different pair of legs. Your going a different direction even though it all leads to the same destination. You journey allows you to see different sights you can bring to the table at the vegan potluck lol. Do not let anyone force you into anything. Go at your own pace and decide for yourself what will benefit you. Traveling is much funnier when you have a buddy to tag along with you. There are folks who have been living this lifestyle for years before it was cool and trendy to do so. Get a vegan mentor. Seek their guidance. You do not have to do this all on your own. Of course as in every group there are extremists. People who will judge and make you feel inferior because they are at a “higher level of veganism” (whatever that means) but for the most part people are helpful and excited to assist you. This journey can be a lonely one (trust me). People on the outside looking in will not understand your choices. They might stare or even make fun and judge you. So it is important to surround yourself with like minded folks. Find your tribe and get support. Travel your thoughts. Journal what you feel, see, and think on your vegan journey. What do you like and what don’t you like? Do you see yourself living a vegan lifestyle forever? What new foods do you love? Who are vegans that you admire and why? Do you feel more connected to your environment? To animals? To other humans? Write down your experiences and capture as much as you can. You never who might seek your wisdom one day when they choose to take this path. 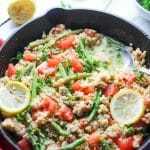 Need more step by step tips on how to lower your meat consumption? Head over to read How to Eat Less Meat. 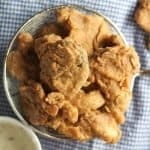 What are your thoughts on this vegan for beginners articles? Do you agree or disagree? Have any other useful tips to share? Let me know in the comments below!